Video #16 in the College of Theology series on Christology. Video of session 1 of Craig’s College of Theology series on Soteriology. Video of session 2 of Craig’s College of Theology series on Soteriology. Video of session 3 of Craig’s College of Theology series on Soteriology. Video of session 4 of Craig’s College of Theology series on Soteriology. Video of session 5 of Craig’s College of Theology series on Soteriology. Video of session 6 of Craig’s College of Theology series on Soteriology. Video of session 7 of Craig’s College of Theology series on Soteriology. Video of session 8 of Craig’s College of Theology series on Soteriology. Video of session 9 of Craig’s College of Theology series on Soteriology. Video of session 10 of Craig’s College of Theology series on Soteriology. Video of session 11 of Craig’s College of Theology series on Soteriology. Video of session 12 of Craig’s College of Theology series on Soteriology. Video of session 13 of Craig’s College of Theology series on Soteriology. Video of session 14 of Craig’s College of Theology series on Soteriology. Video of session 15 of Craig’s College of Theology series on Soteriology. Video of session 16 of Craig’s College of Theology series on Soteriology. Video of session 17 of Craig’s College of Theology series on Soteriology. Video of session 18 of Craig’s College of Theology series on Soteriology. Video of session 19 of Craig’s College of Theology series on Soteriology. Video of session 20 of Craig’s College of Theology series on Soteriology. Audio from session 1 of Craig’s College of Theology series on Soteriology. 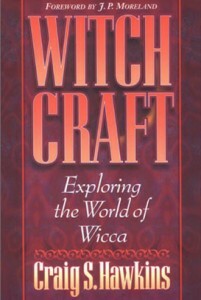 Hawkins book on witchcraft and pagan religions grows out of a resurgence of occult practices in America and Western Europe in recent years. The author believes these are perilous times for Christians, but that the prepared Christian who knows what he believes can effectively combat this revival of darkness.